The Greater Holyoke YMCA has proudly served the community since 1886. The world’s second most played sport – volleyball – was invented in 1895 at the Greater Holyoke YMCA by William Morgan. Here is a detailed history of Volleyball’s creation at the Greater Holyoke YMCA, the role of William Morgan and the role of YMCAs in general in the spread of volleyball. 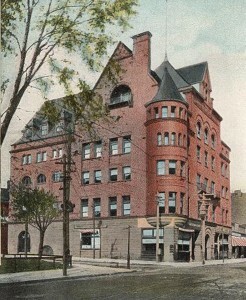 The Greater Holyoke Y was first located at the corner of Appleton and High Streets in downtown Holyoke. The site included a gym and rooms for rent. 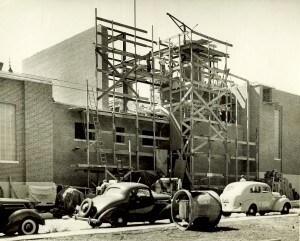 Unfortunately the building was lost to fire in 1943. 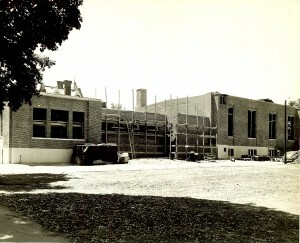 In 1950, a second building was completed at the corner of Appleton and Beech streets, also downtown. This has been our home ever since. The Y has significantly expanded the site’s original footprint twice, most recently adding our beautiful 25-yard 8 lane pool.